Exceptional candidates will be considered for a full-time tuition waiver for either EU or non-EU fees (worth €8,832/€18,849) and an annual stipend of €12,000. Awards will be made on academic merit. Scholarship candidates must submit a full application pack online, along with a supporting statement (emailed to tcas@tcd.ie) which outlines their key academic achievements. Applicants must have firmly accepted their course offer before applying for the scholarship. Deadline 1 May 2019. 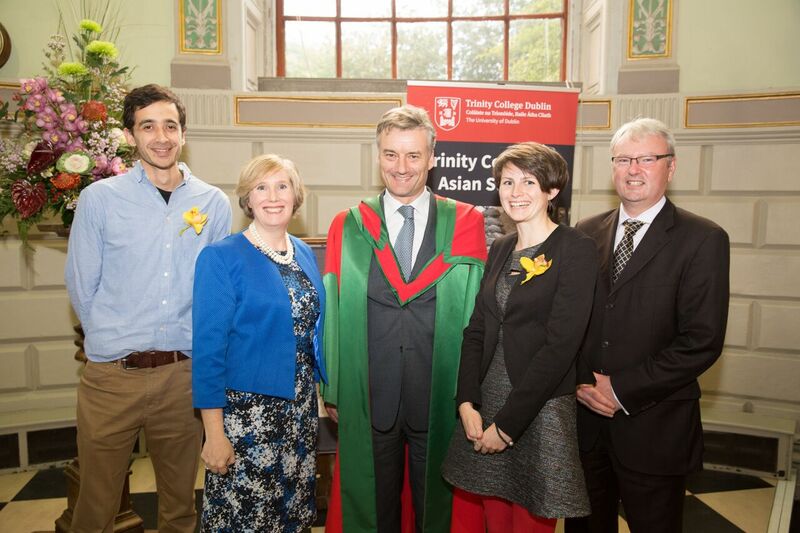 The Eoin and Cliona Murphy Scholarships are awarded annually to two candidates accepted for the M.Phil. in Chinese Studies programme, on the basis of academic merit as well as financial need. The value of each scholarship is €3,000 per annum. All applicants are eligible (EU/non-EU, full-time/part-time). Applicants must have firmly accepted their course offer before applying for the scholarship. Please email tcas@tcd.ie for further information on the application process. Deadline 31 July 2019. Student Universal Support Ireland (SUSI) is the grant-awarding authority in Ireland for students. Students enrolling in postgraduate courses may get financial assistance under the Student Grant Scheme with the cost of tuition fees. Grants are available for Irish, EU/EEA or Swiss Federation nationals, who have been resident in the Irish State or the EU/EEA/Swiss Federation for three of the last five years. There are two ways postgraduates may qualify for assistance under the Student Grant Scheme. They may either apply for a flat rate fee contribution of €2,000, if they pass the SUSI fee contribution means test or have all their all their tuition fees paid and essential field trips (up to €6,270), if they meet the qualifying conditions for the special rate of grant for disadvantaged students. To qualify for assistance under the Student Grant Scheme you must also meet the criteria for nationality and immigration status, and residency. Highly competitive TCD award open to new entrants on the PhD register (not to continuing students). All new full-time PhD students (EU and non-EU) who apply to the School by 1 May are automatically considered. The award is valued at €13,000 plus fees for three years. Please see: https://www.tcd.ie/study/postgraduate/scholarships-funding/. Student Universal Support Ireland (SUSI) is the grant-awarding authority in Ireland for students. Students enrolling in postgraduate courses may get financial assistance under the Student Grant Scheme with the cost of tuition fees. Grants are available for Irish, EU/EEA or Swiss Federation nationals, who have been resident in the Irish State or the EU/EEA/Swiss Federation for three of the last five years. There are two ways postgraduates may qualify for assistance under the Student Grant Scheme. They may either apply for a flat rate fee contribution of €2,000, if they pass the SUSI fee contribution means test or have all their all their tuition fees paid and essential field trips (up to €6,270), if they meet the qualifying conditions for the special rate of grant for disadvantaged students. To qualify for assistance under the Student Grant Scheme you must meet all the eligibility criteria. Trinity College Dublin and the China Scholarship Council affiliated with the Ministry of Education in China offer a number of scholarships to Chinese students who wish to pursue a Ph.D. at Trinity. In the past, scholarships have included a full fee-waiver from Trinity, and a stipend for living costs, airfare and health insurance, provided by the CSC. Please contact TCD’s Global Relations Office for details. The Postgraduate Student Assistance Fund (SAF) is operated by Trinity’s Postgraduate Student Support Officer on behalf of the Postgraduate Financial Assistance Committee and provides financial support to registered postgraduates who are experiencing short or long-term financial difficulties while attending higher education. The SAF is co-funded by the Irish Government and the European Social Fund as part of the ESF Programme for Employability, Inclusion and Learning 2014-2020.